Smiths Interconnect is showcasing its largest range of components, assemblies and systems from 18 GHz to 325 GHz at the EDI CON USA 2017 event from 12-13 Sept, 2017. Of their many new devices being featured, the new Ku-Band High Power Transceivers (HPTs) and 18 to 110 GHz Circulators are the main attractions for the company. 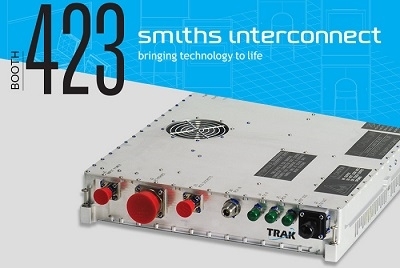 Smith’s HPTs are complete microwave assemblies, integrating GaN solid-state power amplifiers (SSPAs), up-converters, down-converters, and digital control technology to offer highly modular yet easily maintained systems complete with advanced interoperability features and multiple Built-in-Test (BIT) functions. Also featured are the HPC series microwave through millimeter-wave circulators. They’re designed to accommodate critical millimeter-wave radar and communication bands. At K-band frequency and above these millimeter-wave circulators are able to provide protection, isolation, and duplex capability to high power transmitters and receivers. These circulators are ideal for traveling wave tube transmitter protection. The HPC Series circulators are able to withstand 200 Watts of continuous wave RF power, with peaks power ratings near 2000 Watts. Click here to know more updates about the EDI CON event.